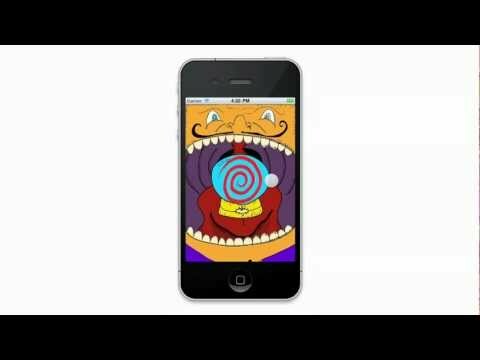 Since first launching in London in July 2009, Music Hack Days have been an international hit, bringing to life some of the most inventive concepts and ideas in music app culture. So who can blame Lollapalooza for wanting in on the action? The contest’s mission: “to create apps that improve the Lollapalooza experience before, during and after the festival.” So long as participants utilized Lolla’s API, everything else was fair game. A public vote chose the winners, who were announced on the 12th. Of the 19 contestants, Veokami for Lollapalooza, a web app that compiles YouTube videos of performances uploaded by fans into one camera-switchable, shareable video channel of the festival’s performances, earned the competition’s Grand Prize (airfare, accommodations, and festival VIP passes for two). Who’s Now Who’s Next, an iPhone app that allows users to see who’s playing now and who’s on stage next, took home the Popular Choice prize (two VIP passes). Have a ticket to Lollapalooza but don’t know which acts you want to see? Lollascope has you covered. Designed by Hurricane Party in Austin, Texas, the app scans and compares your iPhone’s music library to the festival lineup. Moments later, it displays a list of shows you should see based on your taste. Lollapalooza already has an official iPhone app, and like last year, they can expect an official Android app too. But they have another option another option. 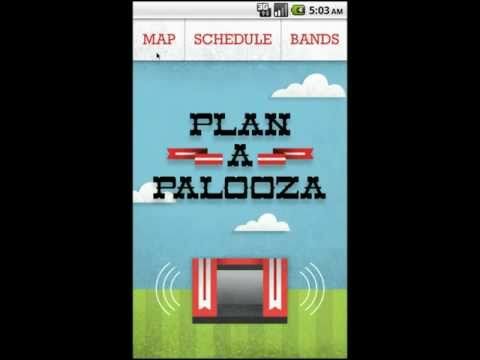 If you want to get a head start on planning your festival, check out Plan-a-Palooza. Designed by Matthew Erisman, this Android app provides users with artist information (with links to their presences on social networks) and allows you to create a personalized schedule to keep you on track at the fest. This actually may be worth having even if you do decide to buy the iLollapalooza, because it comes with an alarm that notifies you when it’s time to go, five or ten minutes before the next show, so you have time to walk over. And the app caches all of this information on your Android phone, so you won’t need a cellphone data connection after you open the app for the first time, which could come in handy, given the crowds. Can’t make it over to Grant Park this year? No worries. With Lollapaloobox, anybody with access to the internet can catch live streams of the festival’s many shows. And while the developers say they haven’t managed to bottle the sweaty experience of crowding together with the rest of a live audience, they did manage something along the same lines: a virtual “moshpit” that taps into other viewers webcams, creating a community of at-home concert viewers. The app runs on Chrome, Firefox, and Safari, and unitizes three different APIs (OpenTok, HackLolla, and YouTube) to provide the live streams. The hardest thing about any festival is keeping track of your people. You’re in a giant field and your thirty friends are all dispersed among 80,000 other attendees; it’s a recipe for disaster. Hordes of festival-goers have turned to the group-messaging service GroupMe, but Bandcast offers a Lollapalooza-specific alternative. You can create a profile andfriend networks, check everyone’s status updates, send and receive private messages, and see your friends’ schedules. Given that 3G cellular reception can be pretty hard to come by in Grant Park, the app caches whatever information it can so you can see it even if your phone has zero bars. 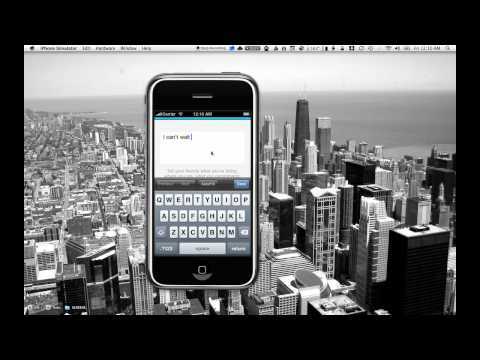 Building on Social Genius’ Audiovroom app, which allows users to share music playlists with their friends (using data in part provided by Evolver.fm publisher The Echo Nest), Lollapalooza is your Friend makes Lollapalooza part of your AudioVroom social network. By listening to this new “friend” station, you can shuffle through the bands playing at the festival, offering yet another way to figure out what you want to see.